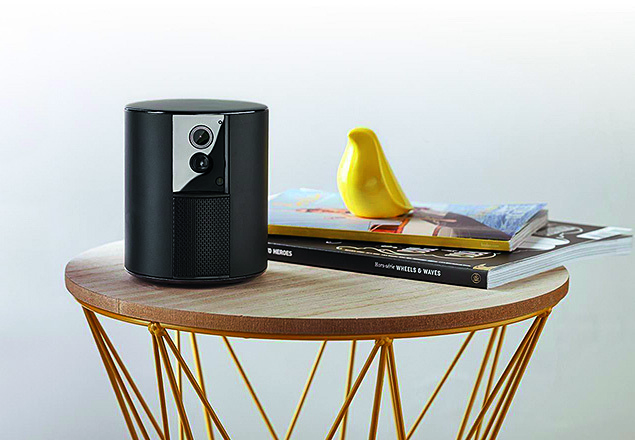 This stand-alone system includes a siren, HD camera and motion sensor. Designed for use (plugged in) indoors, it captures an image of anyone entering your home, activates a (very) loud alarm and sends a message to your phone. Once you’ve set your camera up – this took no more than ten minutes – simply tap on the camera icon in the app to view a live stream of the camera. On the free plan, you can access motion from the past 24 hours, in ten-second clips. From the app you can programme system activations and deactivations upon arriving at or departing from your home. You can also enable Privacy Mode, which will trigger the motorised shutter, which will physically cover the camera, giving you peace of mind that you’re not being recorded. It can be configured so that the camera will not react if your pet enters the room, though we found this a little hit-and-miss. However, you can also turn off the motion sensor so as not to receive non-stop alerts if a pet is in the room. Named after its versatility, this security camera can be used both inside or outside, in rain or shine, by day or by night, wire-free or plugged in, upright on a surface or mounted on a wall. It can be used without membership tosee ten-second clips of footage, rather than the full video, which is available for only 24 hours. Full membership, costing £7.99 a month, provides 30 days of video history, two-way audio and access via a web browser for streaming to your laptop or desktop PC. In addition, members can download footage to their phones and are able to set night mode, to deactivate notifications while you are sleeping. With full membership we found it easy to use and effective in picking up movement or sounds in the home. From time to time it stalled loading an image, but this was down to the tester’s Wi-Fi connection, not the product. 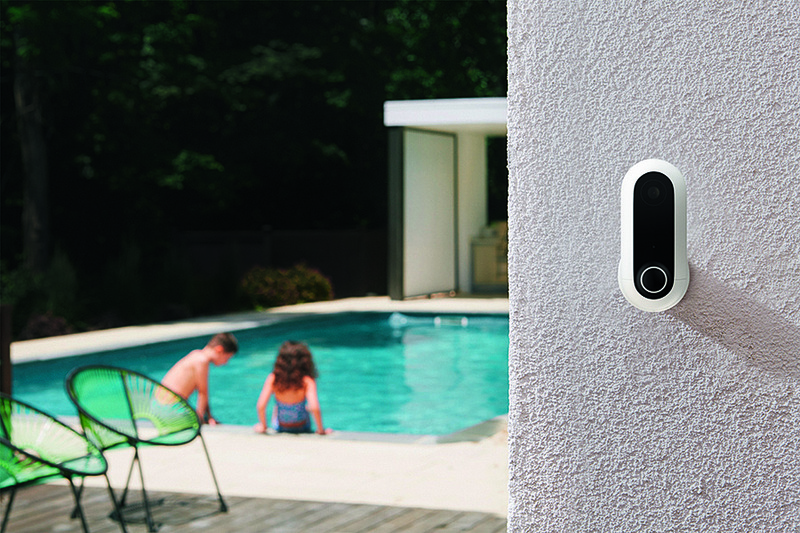 Suitable for use inside and outside your home, this is an affordable and surprisingly easy-to-install system. 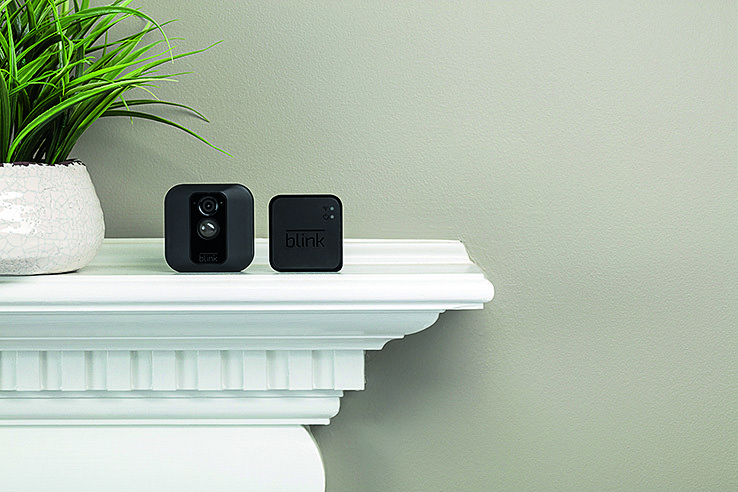 It’s wireless so just position the camera where you want it, plug in the base station sync module hub anywhere in your home and then download the app on to your phone. From there you can choose how long you want to record – from five to 60 seconds – and turn on (or off) the sensor notifications. You can also link the unit with Amazon Alexa to activate voice commands, though we didn’t test this. The sensor is highly sensitive and the clips are amazingly clear with great sound quality. We liked that this was a one-off purchase with no ongoing costs. If positioned at a doorway with lots of activity you will get constant alerts so you do need to be proactive about turning it on and off or your phone screen will fill with notifications! 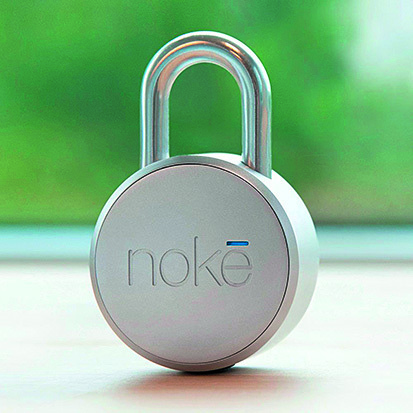 This ‘padlock without a key’ is operated via your smartphone or tablet (compatible with iOS/Android/ Windows). Set-up involved a series of steps, which took a little while, particularly as when connected to an Android phone, the app crashed during set-up. It seemed to work much better via iOS (iPhone). Once the lock is in place, it is unlocked via your phone, or if you don’t have it with you, it has a feature called ‘Quick Click’ where you can programme a special combination of presses to the shackle, a bit like Morse code. Completely waterproof, it can be used both indoor and out and you can share access to the lock with any number of your friends and family.